I made a birthday card for my dad. I LOVED the sentiment "Happy birthday to someone born a long time ago" HA HA. I hope he will laugh. 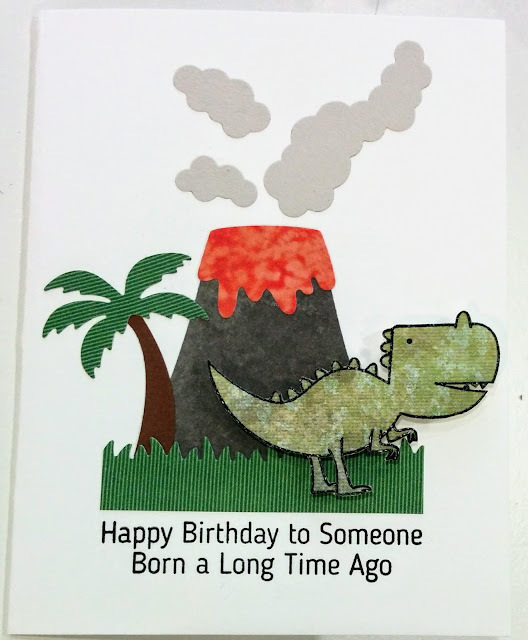 I used the Delightful Dinosaurs stamps, Volcano die and grass die from My Favorite Things. I meant to type thank you for playing along with us at simon says stamp wednesday challenge!